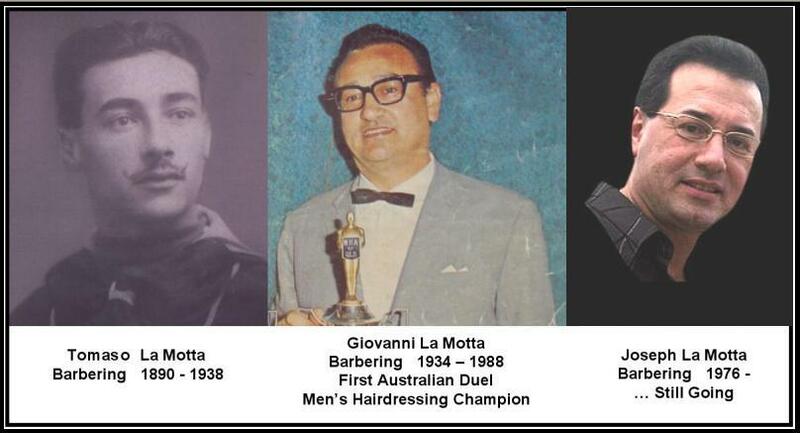 It all started in Italy over 129 years ago when Joseph's Grandfather Tomaso La Motta started barbering in 1890. In 1924 Tomaso had a son, Giovanni (Joseph's Father) and passed the trade onto him. Giovanni was only 10 years old when he started barbering and continued his trade for the next 54 years until his retirement in 1988. Giovanni emigrated from Italy after World War 2 and settled in Brisbane in 1949. In 1959, after 10 years of working for others he decided to open his own successful Barber Shop on the corner of Wharf and Queen Street, formally known as Empire House (currently The Aurora Building). In 1960 Giovanni had a son, Joseph (Myself) who was born and raised in Brisbane. In 1976 at the age of 16 Joseph decided to follow in the footsteps of his father and grandfather learning the skills of traditional barbering. Over the following years Joseph won the respect of his peers and became known as the "Barber's Barber". Now, 43 years later (2019), Joseph is still going strong in his New Exclusive Men's Salon that specialises in one to one Personal Service. 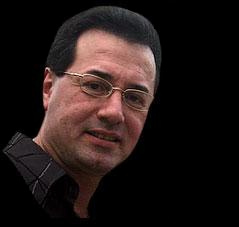 You can find Joseph at his latest salon located at 415 Adelaide St. Brisbane CBD.